It’s truly amazing that anybody survived the Cold War. Over the past decade numerous stories have come out about Soviet and American military personnel who were given orders to fire nuclear weapons between the 1960s and 1980s. Their conscience stopped them, only to learn later that it was a mistaken order. We now have another horrifying story to add to that growing list of possible post-apocalyptic futures. Captain William Bassett received the orders to launch his four nukes. They even went through three layers of security codes, getting confirmation each time that they were correct. When the captain read out the target list, to the crew’s surprise, three of the four targets were not in Russia. At this point, Bordne recalls, the inter-site phone rang. It was another launch officer, reporting that his list had two non-Russian targets. Why target non-belligerent countries? It didn’t seem right. Aside from targeting yet unnamed non-enemy countries, the other part that didn’t seem right was that they were only at DEFCON 2. If this was for real, they probably should’ve been at DEFCON 1. So the Captain stalled and called the Missile Operations Center, lying about not hearing clearly the instructions to fire. “If this is a screw up and we do not launch, we get no recognition, and this never happened,” Bordne recalled Captain Bassett saying in the harrowing moments before they nearly started World War III. By Bordne’s account, the Captain told Missile Operations Center over the phone that he either needed to hear that the threat level had been raised to DEFCON 1 and that he should fire the nukes, or that he should stand down. We don’t know exactly what the Missile Operations Center told Captain Bassett, but they finally received confirmation that they should not launch their nukes. Captain Bassett died in 2011 and nobody said a peep for over 50 years. Until now, of course. Researchers are now calling for a complete account of this incident to be released and the National Security Archive has filed FOIA requests to that effect. 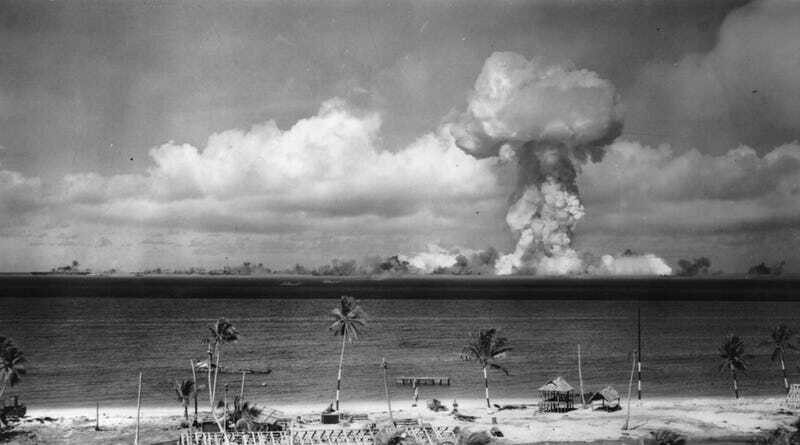 You can read Bordne’s full account of this terrifying incident over at the Bulletin of the Atomic Scientists. But for now we can add another near-miss of worldwide destruction to the history books.